We are false lash enthusiasts giving you the best hand-crafted Faux Mink eyelashes on the market. Each lash is individually hand-made with love and our lash range have been tried and tested by makeup professionals! We are a UK based brand providing products for all lash addicts! We stock the very best luxury lashes on the market. Used by professional makeup artists, bloggers, celebrities and lash addicts everywhere! We want you to look and feel fabulous, so when you receive our lashes be sure to tag us on Instagram! 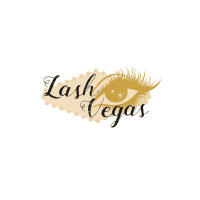 @lashhvegas and don’t forget to follow us on Facebook and Twitter! Our lashes are cruelty free. Lash Vegas lashes retail at £10 per set but will be at Olympia Beauty at a special discounted rate of £9 each or 2 for £15! Our best seller is the ‘Dolla’ lash. Perfect for that super glam finish.. they are triple layered faux mink lashes full with volume and extra wispy for that glamorous look. Perfect if you want to give the illusion of bigger eyes! If you want a softer look then Lash Vegas ‘Sin City’ Lashes are perfect for you. They are luxury hand-crafted mink lashes. The Sin City lashes are light weight, flexible & comfortable to wear. These lashes are perfect for creating natural but effortless eyes with out all the drama! Amazing for making your eyes pop! Get them while stock lasts.